Life after Jesus’ resurrection is the life of learning to keep his commandments, a life of discipleship. This, of course, is impossible to do—unless the Holy Spirit is our helper. This does not mean that we do not sin; indeed, sometimes we neglect his commandments. But the one who loves Jesus, even when he fails him, will keep trying to be devoted to God through Scripture, prayer, fellowship, and his Holy Supper. Dom Augustin Guillerand, a French Carthusian monk (1877-1945), said, “God will know how to draw glory even from our faults. Not to be downcast after committing a fault is one of the marks of true sanctity.” The Apostle John said, “And this is his commandment, that we believe in the name of his Son Jesus Christ and love one another, just as he has commanded us” (1 John 3:23). In other words, we are not to believe in ourselves: in our ability to do things and not do other things. Instead, we are to believe in the one the Father sent to fulfill the law, leaving us his Spirit and his peace. 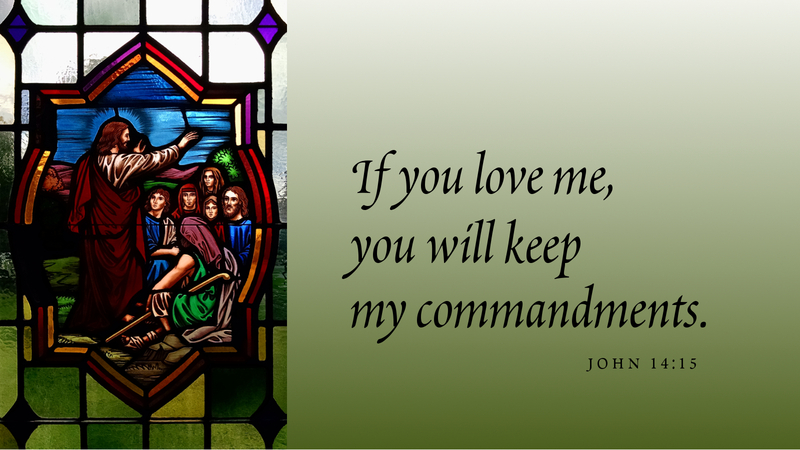 Prayer: Lord, help me to love you with all my heart, and my neighbor as myself. Amen. Have been blessed by reading the NALC devotions, especially those by Mark Ryman. Is there a bio so I can become more acquainted with BroMark?